"The first questions families have to answer is 'what is aging all about?'" says Lana Wilde of Mountain Home Care. "Multiple factors come into play when formulating an answer: social factors, health, family, insurance, and others." ARDEN, N.C., March 19, 2013 (SEND2PRESS NEWSWIRE) — Ten years ago, dynamic female entrepreneur Lana Wilde started her business in the basement of the family home with one client, one caregiver, and a commitment to meet the needs of families who take care of their loved ones in times of extended illness. Today, Wilde’s family-to-family service based business celebrates a decade of excellence. Mountain Home Care is a recognized leader in private home care and geriatric care management throughout western North Carolina. Wilde’s journey to overcome the challenges of understanding and meeting the challenges of an increasingly aging population suggests a hard truth: doctors and medical professionals truly may not understand what to do with individuals with an extended life expectancy. A 100 year active life expectancy is no longer uncommon. Keeping persons safe and at home as they age is a quality of life concern. “We’ve now come to the point that we have to figure out what we’re going to do,” she says. The first questions families have to answer is ‘what is aging all about?’ says Wilde. Multiple factors come into play when formulating an answer: social factors, health, family, insurance, and others. During past generations, family members lived in close proximity to one another, and multiple generations cared for one another, but that’s not true today. “Our niche is trying to safely help folks stay where they want to be, which is usually at home,” she says. Wilde tries to be a one-stop resource to families who reach out to her for help. If Mountain Home Care is not the right fit, she refers them to someone who can better assist them and get them the help they need. Her investment is in people, and people make up families a lot like her own. “The Wilde family is a bunch of ‘wild’ entrepreneurs,” she says, making a pun of the family surname. For entrepreneurs who would like to be in service to others through their business, she offers a few guiding principles that have served her in good stead since 2003. “We are just regular people. We always work hard, but we like being our own bosses,” Wilde says. 2. Be willing to invest in people. 3. Delegate responsibility to good people. Mountain Home Care likes to employ “go-to” people in the industry, those who are respected professionals with a caring manner. “I’ve never based anything I do on numbers. It’s on service, reputation, and employing the go-to people in the industry.” She sees her professional staff of clinicians as leaders who help her know how to lead. 4. Interface with existing services to complement your distinctive business. Home care and geriatric care management work well with hospice and palliative care, and often round out a patient’s care team. “We don’t do what they do,” she says. 5. Show up for the work. 6. Be clear about your mission. 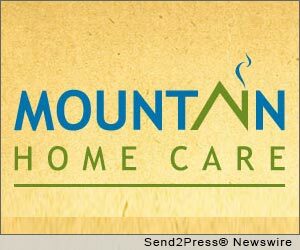 Mountain Home Care – www.mountainhomecare.com – is located in Arden, N.C., and serves home and geriatric care clients throughout western North Carolina. Original Keywords: Lana Wilde, home and geriatric care clients throughout western North Carolina, Mountain Home Care, MountainHomeCare, senior care, geriatric care agency Mountain Home Care Arden North Carolina ARDEN, N.C.
REFERENCES: Business News, Lana Wilde, home and geriatric care clients throughout western North Carolina, Mountain Home Care, MountainHomeCare, senior care, geriatric care agency Mountain Home Care Arden North Carolina ARDEN, N.C.